9420 Francis Road, Richmond - 4 beds, 2 baths - For Sale | Ben Yao - Regent Park Realty Inc.
Investors alert! 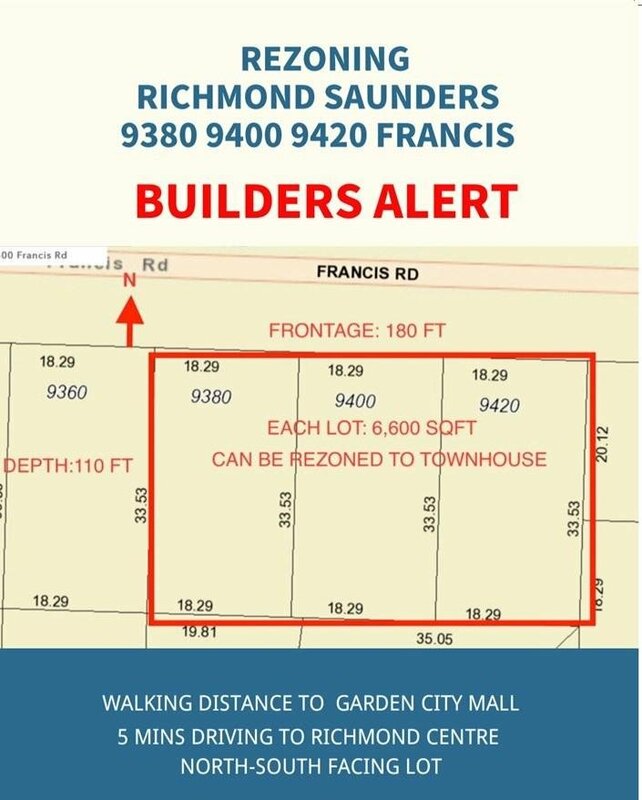 With 3 properties, near 20,000 SQF on Francis, potential Rezoning to townhouses, great location, fantastic neighbourhood and so much more. Well maintained, living in condition, regular pattern lot, walking distance to schools, shopping centre, public transportation, restaurants etc.. call now for detail and don’t miss this amazing rezoning opportunity.